South Africa’s up and coming corporate clothing brand. Altitude provides cost effective golfers for men, women and children. The Biz Collection has a range of golf shirts with a focus on office wear. These shirts are cool and classic, with fun accents that are modern and debonair. Cutter and Buck produces high end sporting goods internationally. 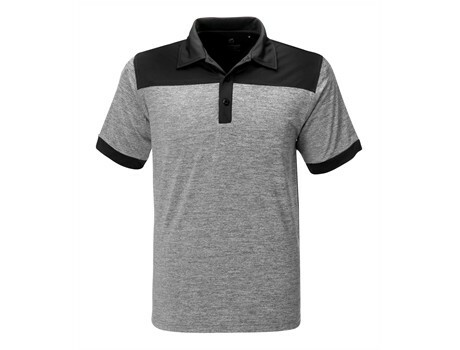 With sleek designs, amazing quality, these golf shirts make great gifts for executives. Elevate has been worn by Swedish royalty, Real Madrid and the Vancouver 2010 Winter Olympians. You can join their ranks by wearing these awesome golfers. Shirts by Gary Player, a golfing legend. These locally made, superb quality golf shirts are perfect for executives. Slazenger, the brand of champions. Slazenger is Wimbledon’s big sponsor brand every year. US Basic is the brand you want if you’re looking for bright colours, classic designs, good quality and affordable prices. Gary Player Mens Baytree Golf Shirt in South Africa. © 2019 Brand Innovation. All Rights Reserved.